Don’t let busy training schedules make you guilty of slothful avoidance of the dentist. The consequences of poor oral hygiene can catch up with you in the near future, so make sure you visit your dentist regularly and let them know if you play sport or work out. 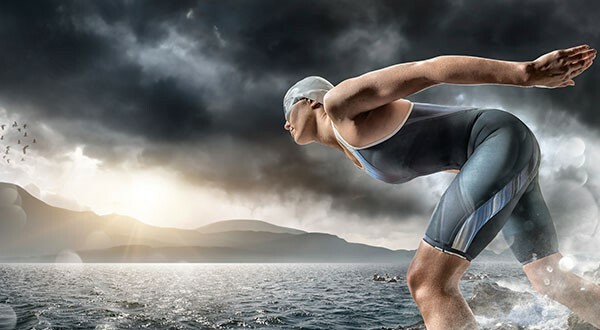 Your dentist will make sure that your habits on the sporting field are not hindering your oral health. 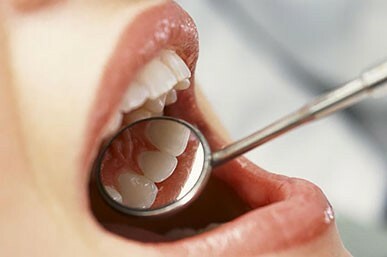 Having a family dentist will mean you will know who to call should you or a family member suffer from a dental injury. Remember time is everything when dealing with dental trauma, know your dental first aid. Brush twice a day with fluoridated toothpaste. Drink plenty of tap water. Have regular check-ups with your dentist. Extract from ADA's original article: "Sin 7: Slothful Avoidance"
How often should we go to the dentist for a “check up and clean”? The most common recommendation for dental check ups is every 6 months. It is important to realise though, this number was not devised by a dentist ….. it was by a dental health insurance company! But yes, for a lot of people 6 months works. However, there are many people who require more frequent visits and even a few who could attend less. Children absolutely need at least every 6 months. Things can change so quickly in a child mouth that sometimes more regularly is beneficial. A teenager with braces on, often needs to see us every 3 months for cleaning and a checks. A child with poorly formed teeth is more at risk of decay and may need to be seen more regularly. Personally, my 3 children who all have great teeth are seen at least every 3 months as well as mum checks at home. Adults who are susceptible to gum issues either by genetics or health status, need to be seen usually 3 monthly. The bacteria that cause gum disease live in the mouth and their environment needs to be disturbed every 10-12 weeks to prevent further damage. People who cannot clean their teeth themselves are at a huge risk of gum problems and tooth decay. Special needs groups and the elderly often need more regular dental check ups and cleaning. The advent of electric toothbrushes and flossing devices has improved this but it needs to be monitored. Then every now and then, we meet a patient who hasn’t been to the dentist for a number of years, x-rays reveal no decay, they have no fillings, gums are perfectly healthy and there is build up on the teeth. This is very rare. Everyone else, 6 months usually suffices. So with health funds now starting to recommend once a year dental check ups to save their revenue……we have a problem! 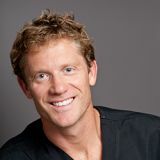 Recently, it occurred to me how poorly documented it is that dental caries, can be passed from one person to another. Yes, so what you are thinking is true. Kissing a partner (or child) with tooth decay can result in the transmission of Streptococcus mutans, the bacteria that causes tooth decay, from one person to another. So regardless of how good your oral hygiene is, if your partner has decay in their mouth, then you have a significantly higher chance of getting tooth decay. Clinically, we often see both couples in a relationship with tooth decay. If saving your partner from tooth decay is not adequate motivation to get to the dentist, then saving your children from a life of misery at the dentist may be. Studies have found that the bacteria in our children’s mouths are a direct descendent from their parents mouths. If we as parents have decay in our teeth, we harbor more of the decay causing bacteria, and we are more likely to spread the disease of dental caries to our children. The best method to reduce the transmission of these bacteria to our loved ones is to maintain optimal oral hygiene through regular dental appointments to ensure that we have do not have active tooth decay. Otherwise, minimize the sharing of saliva by not sharing utensils, don’t share toothbrushes, don’t clean your child’s dummy with saliva and no kissing on the lips. Which Toothbrush and Floss are for me? Today a vast array of powered, and non-powered tooth brushing and flossing devices exist on the market shelves. Years ago, the selection of a manual brush and floss was simple. Soft bristles, small head and comfortable handle ticked all the boxes for a manual toothbrush. The choice of floss was largely between tape or waxed floss, with the selection largely down to personal preference. Many people feel they can achieve a great result with a manual toothbrush, and that is fantastic. However for children, handicapped, elderly or the lazy (like me) many prefer an electric brush. Like most things in life, you get what you pay for, and my personal preference at the moment for the Phillips Diamond Sonic Care brush. Although not the cheapest electric brush on the market, it could be one of the most effective. Recently, powered flossing devices have become available, claiming like the powered brushes, to provide a superior clean. 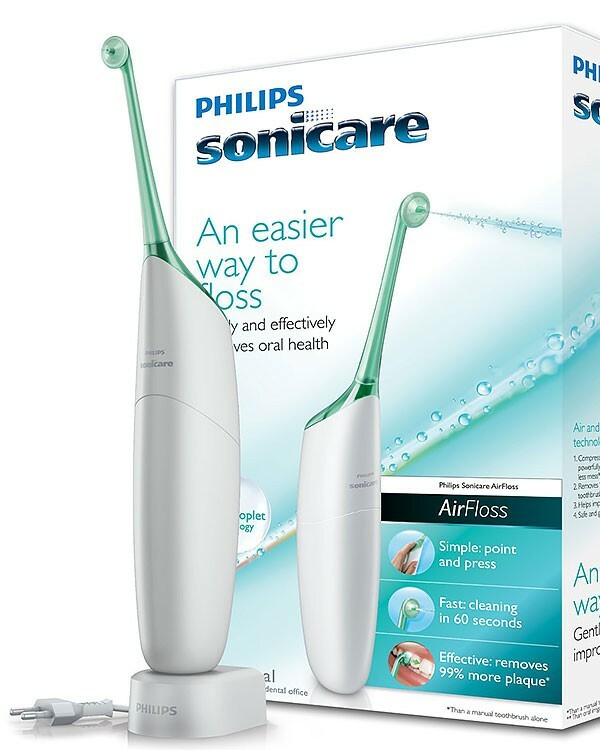 The Phillips Sonic Care Air Floss is a fantastic adjunct to flossing. It has the advantage of being a very simple device to use, with the pulsations of air and water removing trapped food particles between your teeth. We tend to recommend this product for discerning people with a minimally restored mouth and a desire for optimal oral hygiene. 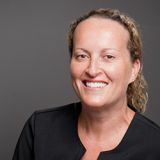 However, for our patients with periodontal disease or a heavily restored mouth with large restorations, crowns and dental implants, Geelong Smile Studio recommends the Waterpik. The Waterpik squirts a stream of water between teeth and under the gum to provide a comprehensive clean. When treating periodontal disease, the Waterpik can be used to precisely administer an antibacterial solution between teeth and below the gums. To go in the draw to win a Phillips Sonic Care Air Floss please like and share our facebook page and either comment on the post or email us directly, in 25 words or less, why you you should be the lucky winner (Entries close 5pm - 26/11/2014). Check and clean your baby’s teeth. Healthy teeth should be all one colour. If you see spots or stains, it is best to have these assessed by your dentist. As soon as teeth erupt in the mouth, it is advised to clean them at least twice a day after breakfast and after dinner. Initially use a soft cloth over your finger and then work up to a baby toothbrush. At about 18 months to 2 years you should be able to clean the teeth with a toothbrush and you can add a small drop (pea sized amount) of children’s toothpaste. Young children cannot get their teeth clean by themselves. Most kids need assistance with their tooth brushing until around 8 years of age. Choose foods that do not have a lot of sugar in them. Only milk and water in the bottle. Do not sleep with your baby and allow them to feed continuously. Do not dip a dummy in anything. At around 12 months of age, teach your baby to drink out of a cup instead of the bottle. The first dental examination can take place around 2 years of age.